The 1960s represented a crucial period for jazz music, with its commercial appeal dropping precipitously, a host of radical new innovations developing, and recording technology reaching an important plateau of sorts. It was an era producing many acclaimed albums, which the album format in general coming into its own during the decade. But even among the many great jazz albums of the era, Intents and Purposes stands out. 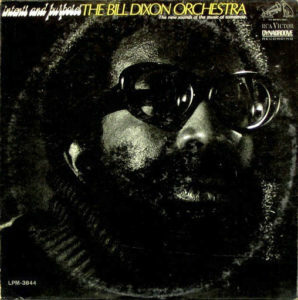 Bill Dixon was one of the great jazz artists of the 20th century, though for a variety of reasons his name is not particularly well known and his relatively small catalog of recordings has not consistently remained in print. That was somewhat the fate of Intents and Purposes. Recorded with a large group orchestra, the music is able to realize a wide range of textures and produce rather large swings in dynamics. The pieces tend to, strangely enough, include many highly conventional elements of jazz and classical music. There are clear melodic statements, tightly choreographed harmonies, and even syncopated rhythms. But what makes the album so unique is that those conventional elements are a rather small part of the music as a whole. Dixon places an unusually large emphasis on timbre/texture, space, and compositional movement. There are frequently almost independent statements, such as a passage with a simultaneous trumpet improvisation, string harmonies, a pizzicato bassline, and skittering percussion, each of which might have stood on its own. The way Dixon puts these elements together largely eliminates distinctions between foreground and background. Filmmaker Robert Bresson famously said that while most people considered film the combination of theater and photography, he saw it as the combination of painting and music. With Dixon, he seems to make music that combines philosophy and (wordless) poetry. It has been noted that Dixon drew substantial influence from the work of Ornette Coleman, whose unique style of composition and performance utilized motive structures (as described by Gunther Schuller in the liner notes to Ornette!). Dixon offers his own take on Coleman’s motivic development. It is fair — and perhaps appropriate — to call Intents and Purposes “harmolodic” music, after Coleman’s portmanteau term for his own artistic theory. Though Coleman tended to always emphasize elements of juxtaposition, while Dixon emphasizes synthesis a bit more. That is evident in how he merges foreground and background, eliminating soloist/accompaniment distinctions. There are also some resemblances here to “third stream” music, such as the collaborative album Jazz Abstractions. Of course, The Jazz Composer’s Orchestra grew out of Dixon’s earlier, less documented efforts and is certainly one of the closest counterparts to this music — compare their self-titled album from the following year. There is a very non-competitive aspect to this music. It asserts itself through a kind of self-actualization, but resists easy comparisons and the sort of jockeying for recognition and prestige that characterizes most other music. That sort of an outlook describes most of Dixon’s career, in which he spent comparatively more time as an educator, recording infrequently and often merely privately. More than half a century later, this album still sounds unique and impressive. That is to say it hasn’t aged a day. But that shouldn’t surprise, because while this certainly is a part of the social fabric of its time, it was always a work of unique self-expression that showed no deference to commercial trends or fads. 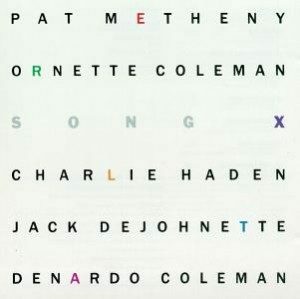 Song X paired Ornette Coleman with the relatively popular guitarist Pat Metheny, augmented by the multifaceted drummer Jack DeJohnette and Coleman’s frequent collaborators Denardo Coleman and Charlie Haden. Metheny’s music –primarily from his band the Pat Metheny Group — is sometimes derisively referred to as “fuzak”, meaning a kind of jazz/rock fusion that is so dull and unengaging that it resembles “Musak” brand piped-in background music. But whatever might be said about his solo recordings, he really rises to the challenge of playing with Ornette here. For his part, Ornette returns to a style of playing and writing that hadn’t been heard much since the 1960s. These songs have clear melodic content, not just repeatable riffs like with his Prime Time band, and the guitar and saxophone play together in harmony. DeJohnette is great. It is somewhat a shame that this is the only recording of Ornette playing with him. While the cliched 1980s production values are a bit unfortunate, they don’t detract too much from what are otherwise uniformly good performances. I think that is really the key to this album’s success. It doesn’t devote its energies to inventing some kind of “new style” or musical theory. It instead presents excellent new compositions that expand upon the old styles/theories and the musicians all play to the best of their abilities. Anthony Braxton came up with a useful three-part taxonomy for musicians and their work, which was not meant to favor any particular category or categories: restructuralists (i.e., innovators and game-changers), stylists (i.e., expanding on an established framework with a uniquely identifiable perspective), and traditionalists (i.e., preserving and faithfully recreating the language and techniques of the past). Song X represents these musicians performing as “stylists”, even as Ornette had elsewhere established himself as a “restructuralist”. Metheny and Coleman supposedly butted heads when recording the album, in a friendly, constructive way. It seems that friction prevented either of them from coasting on a past reputation, and works in favor of the resulting album. 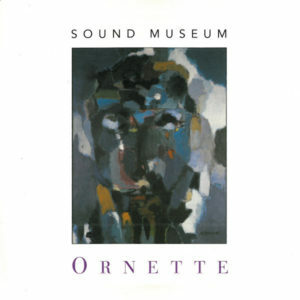 This is probably my favorite of Ornette’s 1980s albums. I can’t say I’m familiar enough with Metheny to offer a similar comparative view, though this is certainly much better than his prior solo effort Rejoicing (which featured Haden and Billy Higgins, both of whom played with Ornette in the past). Most listeners will want to seek out the expanded Twentieth Anniversary Edition of the album, which adds some very decent bonus tracks. Sound Museum: Hidden Man (a companion album to Sound Museum: Three Women) is appropriately titled. Like a museum, this is sort of a curated look back at what Ornette had accomplished in his career through the mid-1990s. And yet it also offers a slightly different perspective on his past accomplishments. He is recording with a pianist (Geri Allen) in the most substantial way since the late 1950s. Bassist Charnett Moffett, son of Ornette’s former drummer Charles Moffett, adds understated yet substantial coloring. But what strikes me most about this music is the way Ornette’s trumpet playing resembles that of Bill Dixon so much. That aspect was detectable going back to The Empty Foxhole. Here it is unmistakable — compare Dixon’s Son of Sisyphus (1990), for instance. There is a lightness to this music, full of space, with a conversational tone to it much like the style Dixon pioneered. While Hidden Man might not be the most immediately striking album Ornette released over his long career, it is perhaps better than anything he released until his death in 2015. 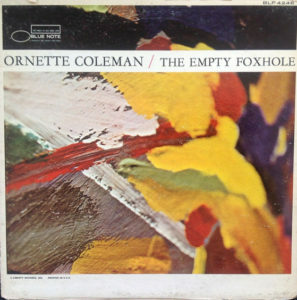 For better or worse, The Empty Foxhole represented Ornette Coleman trying to break from his earlier styles of writing and performing and develop new innovations. This was a looser, more free-form style that tended toward the chaotic. Infamously, his untrained ten-year-old son Denardo plays drums. There are a few hints of the “slice of life” melodicism from the later years of Ornette’s mid-60s Izenzon/Moffett trio. Yet Ornette branches away from even that, particularly when he plays violin and trumpet. Ornette recorded this after returning from extended European touring. In Europe, the foundations for late-60s leftist uprisings were being lain, such as with the publication of Roland Barthes‘ Criticism and Truth, and it seems that Ornette taps into some of that here. The album title seems to reference the Vietnam War, from a vaguely dissident/pacifist perspective. To a point at least, I happen to like this album, which tends to be much derided by listeners. Sure, Denardo’s drumming is inept and is a distraction. But the overall looseness of these performances is purposefully reigned in somewhat in a way that many other late-60s Coleman recordings are not. It must be said that while Ornette was one of a very tiny handful of iconoclastic jazz innovators of the 1950s, a decade later many others had taken up the cause and it was now necessary to judge Ornette’s recordings against those of others. There is a quality to The Empty Foxhole that reminds me of a miniaturized version of Marzette Watts‘ Marzette & Company, or even Don Cherry‘s Eternal Rhythm, though I like the later Watts and Cherry albums much more. So, while I admire this album, and it certainly marked an important shift in Ornette’s music from a historical perspective, it isn’t one of his essential albums by any means. On September 18, 1987, Ornette, his son Denardo, and fellow musical pioneer Cecil Taylor attended a Grateful Dead concert at New York’s Madison Square Garden at the invitation of the Dead’s bassist Phil Lesh. Seeing the audience’s enthusiasm for a jam band’s music inspired Coleman to record Virgin Beauty, which not only presented his band Prime Time in a more commercial-friendly setting but also featured the Dead’s guitarist Jerry Garcia as a guest performer on three tracks. Coleman would later perform live with the Dead at a 1993 concert too. The sound of Virgin Beauty was kind of like Prime Time “lite”, with airy, synthetic production values drawn from contemporary pop music. Ornette was trying to reach out to a wider audience here. Having Garcia present was, in a way, as much or more about cross-promotion as it was about Garcia’s purely musical contributions. Those ploys worked. This was Ornette’s best-selling album to date. And yet this differs from earlier Prime Time recordings in significant ways. The harder funk and R&B (and disco) elements are long gone, though there is kind of a “world music” vibe. On the whole, this exhibits less density and more dynamic range than earlier Prime Time recordings. There also is more truly independent soloing from the band than with earlier incarnations of Prime Time. Ornette always claimed that the band’s format allowed each performer to to what he wants, though in practice that usually still meant the other (generally much younger) band members still took cues from Ornette and accommodated themselves to the way he played. All that is much less apparent on Virgin Beauty, where there is a real independence evidence on many tracks. Multiple performers simultaneously soloing wasn’t new to Coleman’s music of course. Old jazz did this too — take for example Jelly Roll Morton and His Red Hot Peppers‘ “Jungle Blues” (1927). But Ornette did free up that approach from adherence to strict harmonic chord changes. With Prime Time, he also updated it for the “rock” era. In some respects, the approach on Virgin Beauty represented a re-integration of a pre-Prime Time approach into the repeating riff format of early Prime Time performances. My problem with the album is that only some tracks are really any good, and quite a few are rather mediocre and immediately forgettable. I would like this much more if everything lived up to “Desert Players,” “3 Wishes,” and “Healing the Feeling.” The opener “3 Wishes” features Garcia on guitar, and the drums, processed with gated compression as was the (cliched) style for pop music at the time, use an effective quasi-blast beat riff — a similar drum riff is used on “Desert Players.” The guitar is pretty good throughout, though the production values are the biggest detraction for me, and it sometimes feels like too much work to filter out the good performances from the cheesy studio production effects. Though, in its own way, the experiments with pop music production values on this album laid the groundwork for subsequent efforts like Matthew Shipp‘s New Orbit and Colin Stetson‘s New History Warfare, Volume 2: Judges. 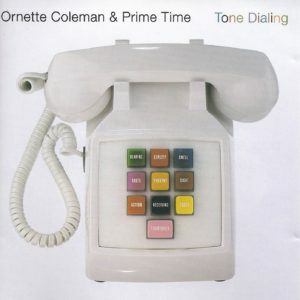 Tone Dialing was the final Ornette Coleman album credited to his band Prime Time. That was just as well. This has some things going for it, and it is pleasant enough, but few would name it as their favorite Ornette album and it makes a few missteps. 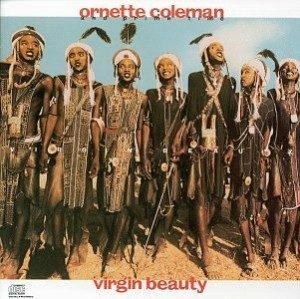 Even though Virgin Beauty had already presented a more conservative and scaled-back version of Prime Time’s music, and it can be argued that the entire ethic of Prime Time was a rhythmic simplification of Ornette’s music, Tone Dialing more than any other of his albums really feels like Ornette is overtly chasing current fads. Mostly that comes in the form of some attempts at jazz/hip-hop fusion (“Street Blues,” “Search for Life,” “Sound Is Everywhere”). There were many such attempts in the 1990s (Buckshot Lefonque, etc. ), and most are cringe-inducing in hindsight. Ornette’s attempts may not rank among his finest moments on record, but “Search for Life” has a kind of beat generation vibe that actually works well. The funk/R&B and sufi trance sound of early Prime Time is mostly absent here. Instead, some songs mine territory a bit more like Song X. So there is a new version of “Kathelin Gray” with piano-effect keyboard playing that is okay, and the new song “Family Reunion” is one of the better things here. The title track fits that category too. There is a genteel sound to much of this, perhaps because most of the band members were now classically trained. On the other hand, “Bach Prelude” (a performance of J.S. Bach‘s Prelude from Cello Suite No. 1) might be the single worst track in Ornette’s entire discography. 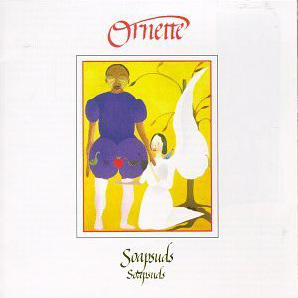 It is not nearly as clever or significant for Ornette to play a Euro-classical piece in his own way as he apparently thought it was — there is an awful David Fricke Rolling Stone review of the album in which basically everything he says about the album is precisely wrong, including praise for the Bach number and criticism of “Search for Life.” There are a few songs with various elements of global folk music mixed in (“Guadalupe,” “Miguel’s Fortune,” “Badal”). Listeners may not know what to do with those. They aren’t bad, but they aren’t really highlights either. The album’s production values leave something to be desired too, with synths and trebly guitar sounds, and a thin and hollow sound overall. This album is so all over the place that it is quite hard to make sense of of it as a whole. That may be part of Ornette’s intent, though it makes this a strange listen. Its most annoying aspect is that it sometimes seems to utilize disparate musical contexts as a substitute for interesting musical statements within those contexts. It is as if Ornette is making the argument that he is no longer an outsider threatening the status quo, but instead someone connected enough to all sorts of currents running through the global music scene that he should be seen as part of the mainstream. That isn’t as compelling a premise as the freedom-motivated premise of his early work. I happen to like this more than most people, but — unlike most other Ornette recordings — primarily as background music. In a way, although there are some similarities here to Theodor Adorno‘s critique of the “culture industry,” this seems less like an egalitarian vision of music and more like the worldview of the main character in the far right-wing libertarian novelist Ayn Rand‘s The Fountainhead, who maligns a critic because he deems himself to be great and therefore anyone who disagrees is necessarily wrong — his self-assessment is unreviewable and incontestable, despite the obvious self-serving bias at work. In other words, it sounds a bit like an endorsement of a regressive “social darwinist” worldview, with Ornette wanting an “equal opportunity” to be seen as better than others, which he has already presupposed. It is curious, and really somewhat hypocritical, in that Ornette wants to to eliminate one kind of inequality in order to advance another kind of “celebrity culture” inequality, with him unsurprisingly ending up as a celebrity. He has slid somewhat from the anarchistic underpinnings of his early work to libertarianism. Anyway, in the real world, artists do what they do in large part because of audiences and critics, who legitimize and consecrate the artist’s activities. If the artist does not desire such social validations, the artist can create in private. Though, on the other hand, the idea that all assertions of power should be accepted does have a radical edge to it, assuming it is extended universally to all people and not just to made available to a small group of people selected based on pre-determined criteria bracketed out of the discussion. Frink also discussed the Bach piece on Tone Dialing, asserting, “Simply by placing the Bach piece in a different sonic context, Coleman had completely changed its character.” I must question this statement. The assertion reminds me of an important hypothetical given by the late sociologist Pierre Bourdieu in the book Language & Symbolic Power. Bourdieu discusses the christening of a new ship, in which a town mayor was to read a speech and break a bottle of champagne on the ship’s hull. What if, before the planned event, a random person sneaks up and reads script for the mayor’s speech and breaks the champagne bottle on the ship’s hull? Is the ship christened, or does the other person lack the symbolic authority to do so? It is easy to detect in Ornette’s worldview a tendency to completely reject symbolic power and authority, like that of the mayor in this hypothetical example. Certainly, he seems to agree, in the context of dismissing critics, with Bourdieu’s statements that “[t]he strategy of condescension consists in deriving profit from the objective relations of power . . .” and against the “illusion of linguistic communism” (the myth that that everyone shares the wealth of their language equally, without regard for the economic and social conditions of the acquisition of “legitimate” competence). But he does so in kind of a naively utopian way (what some call the “anarchist delusion”), by expecting the symbolic power of certain groups to “legitimate” activities to simply disappear. This is basically the issue discussed in Lenin‘s The State and Revolution in which a very coherent argument is made that (state and class) power can’t just wither away, but must first be smashed on behalf of the oppressed, and only after a long time and much enlightenment of the general population can class and state powers wither away. Like most anarchists, and also a few libertarians, Ornette attempts an end run around the underlying political deadlocks. These are nonetheless complex matters. I’m reminded here of a comment that Caetano Veloso made in his memoir Tropical Truth. As his music was growing increasingly experimental in the early-to-mid-1970s, he came to the conclusion that he had a duty to make music with wider popular appeal. This seems like a worthy notion. And yet, Veloso’s music from that point on was far less memorable. I grapple with the same sort of dilemmas when listening to Ornette’s later Prime Time recordings. Ornette was clearly reaching out to popular audiences, but did he abandon a connection to significance in the process? Tone Dialing has some interesting qualities, but on the whole it is something of a bottom-tier Ornette album. Although bassist Charlie Haden had left Ornette’s regular group, the two reunited for a series of duo recordings in the late 1970s. A couple tracks appear on Haden’s own Closeness and The Golden Number and the rest make up Ornette’s Soapsuds Soapsuds (the Cherry/Haden/Higgins quartet also reunited for unreleased sessions in late 1976). Here, Ornette records on tenor sax for the first time since Ornette on Tenor a decade and a half earlier. The most striking aspect of this music is that it is completely different from that of his Prime Time band around this era. Prime Time largely eliminated shifts in tempo, and minimized the use of melody to guide/facilitate harmonic choices. To this listener, that makes Soapsuds superior, because it avoids the simplistic “new age” cyclical rigidity embedded in Prime Time’s music and instead picks up where Ornette had left off with Science Fiction, his last small group album before the Prime Time years. Haden was quite simply the best bassist Ornette ever performed with in terms of being able to develop his own independent harmonic and melodic cues that worked alongside Ornette’s own playing without being beholden to what Ornette was doing — though bassist David Izenzon came close in his own way! The album opens with “Mary Hartman, Mary Hartman,” the theme song to a satirical daytime soap opera TV show. Ornette plays with clear legato phrasing in a way strikingly similar to David Murray‘s playing on a rendition of “Over the Rainbow” with Sunny Murray & The Untouchable Factor from the same era released on Wildflowers 1. It is a great performance, with clear melodic statements but also irreverent disregard for the sanctity of the melody or the original harmonics of the composition. The intimate, romanticized tone paired with the ironic re-appropriation of elements of popular culture also fits well within the context of the “loft jazz” scene that was in full swing at the time, at least partly inspired by Ornette’s Artists House loft endeavor on Prince Street in New York earlier in the decade (which built on earlier efforts in that direction by the likes of Yoko Ono). Side two of the album is slightly less memorable. The songwriting is solid but the performances are occasionally aimless and don’t stick in your head as much. This album was released on the Artists House label, which was started by Ornette’s manager/attorney/producer John Snyder. The label paid higher-than-normal royalties to artists, gave them complete artistic control, and manufactured albums using heavy card stock and virgin vinyl. Basically, it was a label committed to artistic integrity rather than investor profits. It was a relatively short-lived endeavor, and it’s unusual policies have been at least partly responsible for the lack of reissues — as of this writing, the album is out of print. I consider this album a solid effort, and a mildly unique album in kind of a low key, unassuming way. Much of Ornette’s music features busy tempos, while there is little or none of that here. The duo format also lends a sparseness to the sound that presents a more extreme minimalism than other slightly minimalist trio recordings from the mid-1960s and 1990s. I also welcome the fact that Ornette revives the musical theories that, in my opinion, he abandoned and betrayed with Prime Time, a band that fell prey to the “Tyranny of Structurelessness” much more than Ornette ever publicly admitted. On the other hand, this album seems to travel familiar ground but doesn’t quite rise to the level of Ornette and Haden’s best work, though the track “Mary Hartman, Mary Hartman” certainly does. 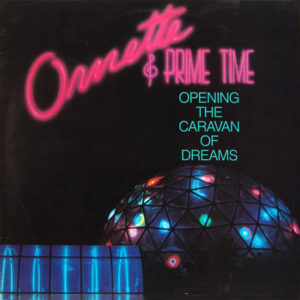 Presented on this album are live recordings of Ornette and his Prime Time band performing for the opening of the Caravan of Dreams club/cultural center in Ornette’s home town of Fort Worth Texas. This is basically an extension of the same funk/R&B and free jazz fusion that the group had performed and recorded in the past. Though this particular set of performances has a more raw and visceral tone than the group’s last studio album, Of Human Feelings. The band gets to wail away with each band member going in his own direction and it kind of makes some intuitive sense that facilitating this is their objective. Yet they also come together for joint or “unison” statements on songs like “City Living” and “Compute.” One commentator referred to this as a riff hybrid format, with repeatable riffs organized within a structure that recalled pre-Prime Time efforts. Ornette’s own performances aren’t perhaps as memorable as elsewhere, though he does deploy a remarkably wide assortment of stylistic flourishes, but the rest of the band sounds tighter than usual. Occasional use of cowbell, a whistle and some kind of electronic beeper add nice little touches too. If you like Prime Time’s music, this is sure to please. If you don’t, this probably won’t change your mind, though to these ears the live setting does make this more engaging than most Prime Time albums. A pretty mediocre Monk album. This is a one-off quintet with a cornet, and there are some new songs debuted. But the playing is rather programmatic. The players generally don’t push themselves, and there is nothing in the way of interesting interactions between them. Monk plays well, but that just isn’t enough. I would place this near the bottom of the pack when ranking the Riverside albums. 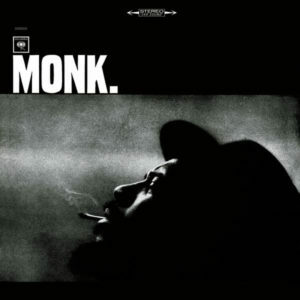 Well, I’ve said before that It’s Monk’s Time is my second favorite Monk studio album on Columbia Records. But that was only because I hadn’t yet heard Monk. yet. This is another good one from the otherwise somewhat underwhelming Columbia years. Charlie Rouse is really stupendous. 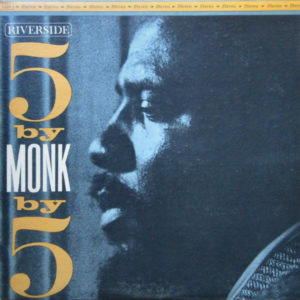 There was a quality in Monk’s playing during this time period that tended toward the dry and lethargic, and when the energy in his playing started to flag Charlie Rouse seemed to come in to the rescue. That is an admirable thing. And it shows in the music. At least I hear it and welcome it. Oh, and “Children’s Song (That Old Man)” is a folk song whose melody was later used for the “I Love You” song by Barney the purple dinosaur — a target of much ire in the “cynical 90s.” Maybe Monk. falls a bit short of the man’s very best albums, but it is a dark horse for the top of the second tier.